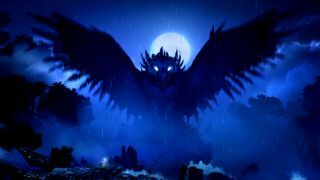 Ori and the Blind Forest Definitive Edition, a re-release of the gorgeous and thoroughly-good platformer that adds “new areas, difficulty options, and gameplay upgrades,” was originally supposed to be out last fall. Developer Moon Studios announced in December, well after that season had come and gone, that the update had been delayed to the spring of this year, which it recently nailed down to March 11. Just two days ahead of that date, it's been delayed again, but only on the PC. The Xbox One version will go out as scheduled. Beyond that disappointment, the update reveals a bit more about some of the changes in the Definitive Edition. The two new areas, Black Root Burrows and Lost Grove, have their own unique visual themes and mechanics, and there are a pair of new core skills to learn as well, Dash and Light Burst. Pricing was also revealed: Ori and the Blind Forest Definitive Edition will sell for $20, and owners of the original will have the option of upgrading for $5. Update: The story originally indicated that the listed pricing had only been confirmed for the Xbox One version of the game. A rep has since confirmed that it will also apply to the PC release.